In the past, the top model of the Chevrolet Corvette that was offered for the driving excitement we want to have on the tracks and on the roads was the Z06 model. Now that a new model has been created to offer you a much more powerful drive, we should take a look at what some of the differences are offered for this car when you want to have the drive you’re looking for. 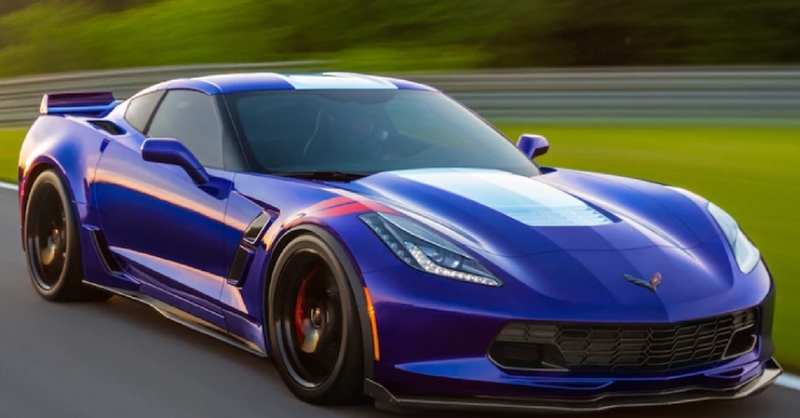 If you want to have an amazing drive on the tracks or on the roads you should know which version of the Corvette to drive as you choose between the Z06 and the ZR1 models. The new ZR1 model is actually going to cost you nearly twice as much as the Z06 model does, but this upgraded model of the car could be one that cranks up the power and the fun to a point of being much more than what you would have expected for the drive. This New Chevrolet in its simplest terms is the Z06 with nicer stuff, but for the added cost, that stuff has to be much nicer, and it certainly is. The first difference between these two versions of this impressive supercar is the engines under the hood. While they are both use a 6.2-liter supercharged V8 engine, the Z06 uses the LT4 engine and the ZR1 brings you the new LT5 engine. the LT4 is able to offer 650 horsepower and 650 lb.-ft. of torque for the drive while the LT5 is one that cranks up the power to 755 ponies and 715 lb.-ft. of torque. This is an impressive difference in the power you’ll find for this car and makes it easy for you to have a fun drive on the track. The upgraded size of the LT5 engine with its Eaton supercharger makes the use of the shaker style hood necessary. The LT5 is 2.9-inches taller than the LT4 model and this change is a result of the excess heat that’s produced by the supercharger that’s used while also using a revised cooling system which has more heat exchangers than the Z06 model to give you a total of thirteen heat exchanges for the drive. With added power and impressive look of this new version of the Corvette can be the right model for you to have a lot of fun wherever you need to go. One of the similarities between the Z06 and the ZR1 is the transmission. The standard version is the seven-speed manual while there is still the optional eight-speed automatic that will give you the drive and the shifting you’re looking for. Both models also use the Magnetic Ride Control to make sure you can dampen the suspension and have the right way to have the drive you’re looking for. There are other differences and similarities between these two cars, but if you want the most powerful model of the Corvette for the drive you’re going to make on the tracks in your area, the ZR1 is the choice you’ll want to make. Sports fan. Coffee lover. Entrepreneur. California dreamin'. The only thing I enjoy more than writing about cars is driving them around town... especially old hot rods. Find me on Facebook and Twitter.